“This will be the hardest thing you ever do.” I remember Selene telling us this months before our departure, but it stuck with me the entire trip. Arriving at PDX near 3:20 am wasn’t anything new for me, but for the first time in all my travels, I actually felt scared. 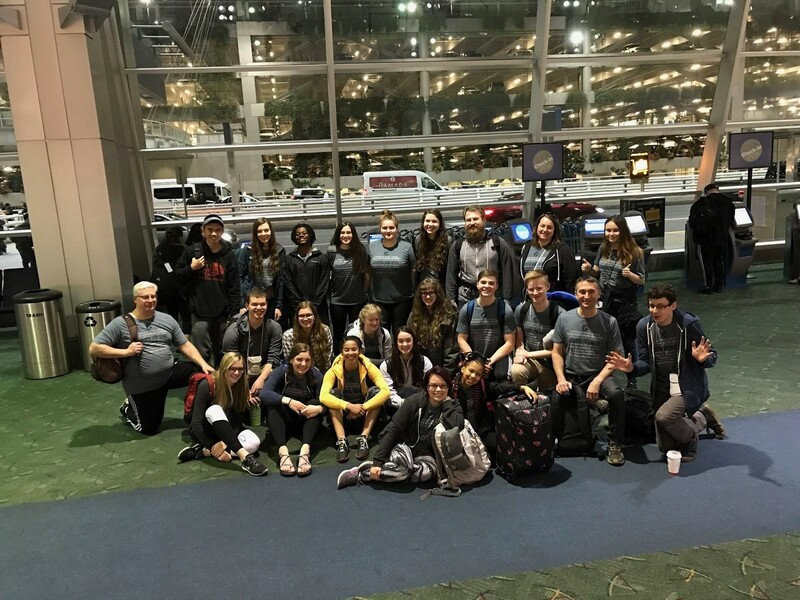 I had barely met anyone else on the trip, despite us attending the same school; I had never left the country before; I hadn’t even been anywhere without my parents. I felt anxious and even a bit sick as I worried in the familiar airport, but that didn’t stop me from making a few “April Fools” jokes about the whole trip. Boarding passes were handed out, and we all gathered for a picture, squeezing together with near-strangers. Then we hugged our families goodbye and treaded to the gate. 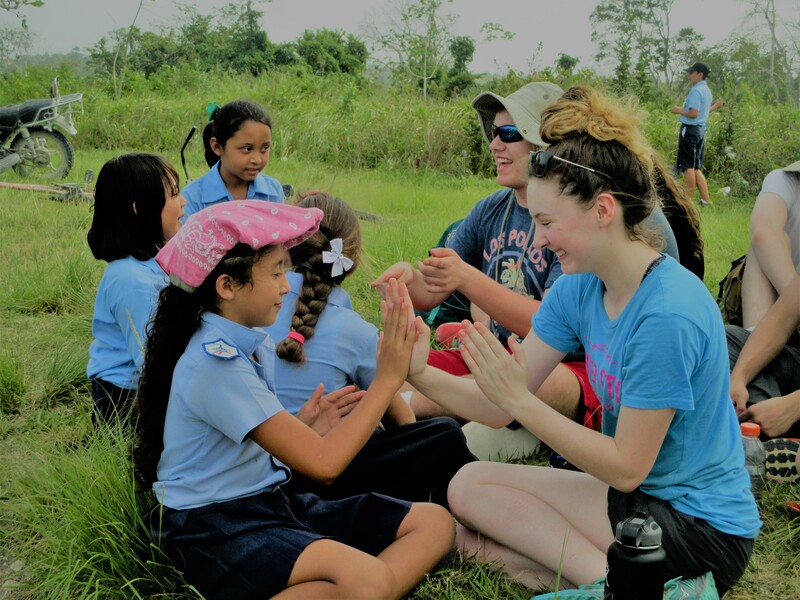 The flights from Portland to Houston then Houston to Belize City weren’t bad at all, which I suppose was one last luxury of the United States that we could grasp onto before readying ourselves for whatever may come…which honestly wasn’t anything we couldn’t handle. 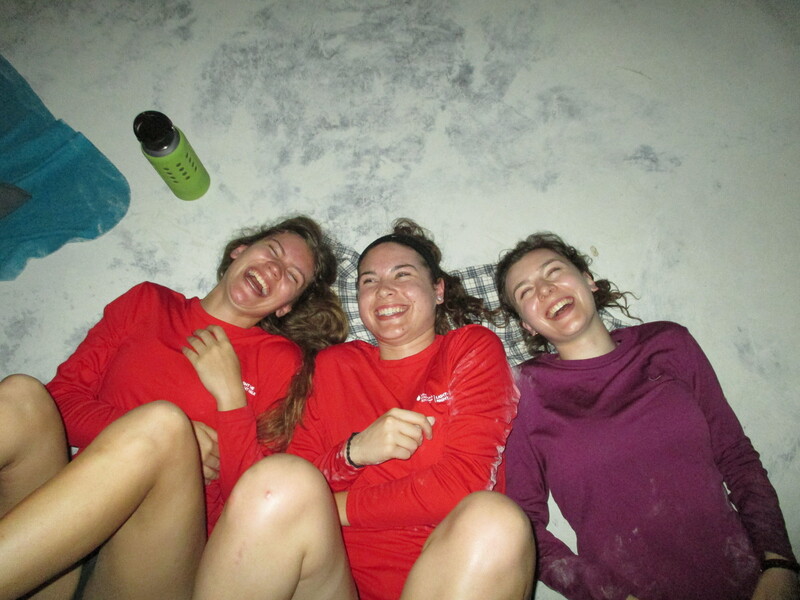 I won’t advocate to American standards and claim that it was “so hard!” to work in the heat of Belize or to sleep on a floor surrounded by bugs, because in all honesty it was plenty worth it, and I’ve already started to plan for joining next year’s trip, as well. 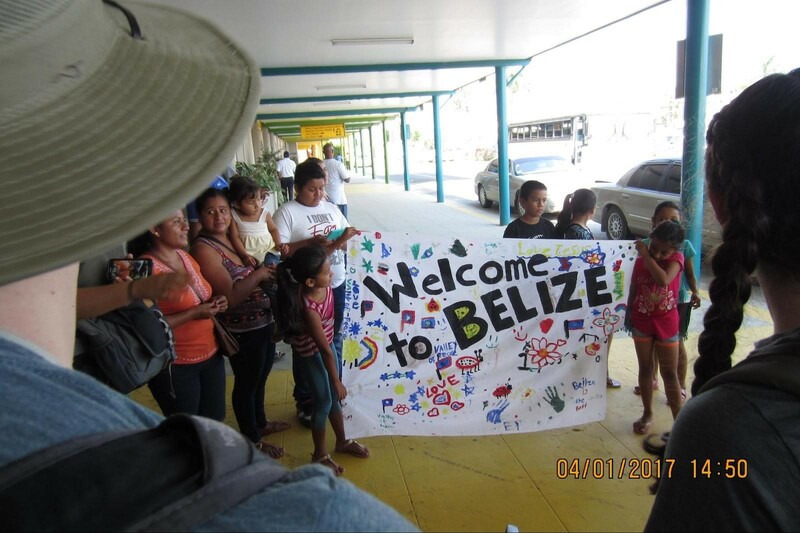 One of the highlights that compels me to have nothing but fond memories would be our initial arrival to the front of Belize City’s airport. Awaiting us in the pick-up was a group of the local children with a beautiful hand-made poster and our two hostess Kelsey and Sarah. From the airport to our stay in the Catholic Church was a 2 hour bus ride filled with bumps and a sparse tropical scenery for us to marvel at, which I did plenty of times. Then, we were finally at our new temporary home. By the time we had arrived, the sun was beginning to set, so we all hustled to grab our things and pick where we slept and on what – a few of us had mattresses while the rest had bedrolls that were woven together using various plastics and threads. I will admit that I had created an imaginary idea of what the church would look like before we had arrived, so I was a bit thrown off to find how small and quaint it was, but I did not let it bother me and carried on with day one. 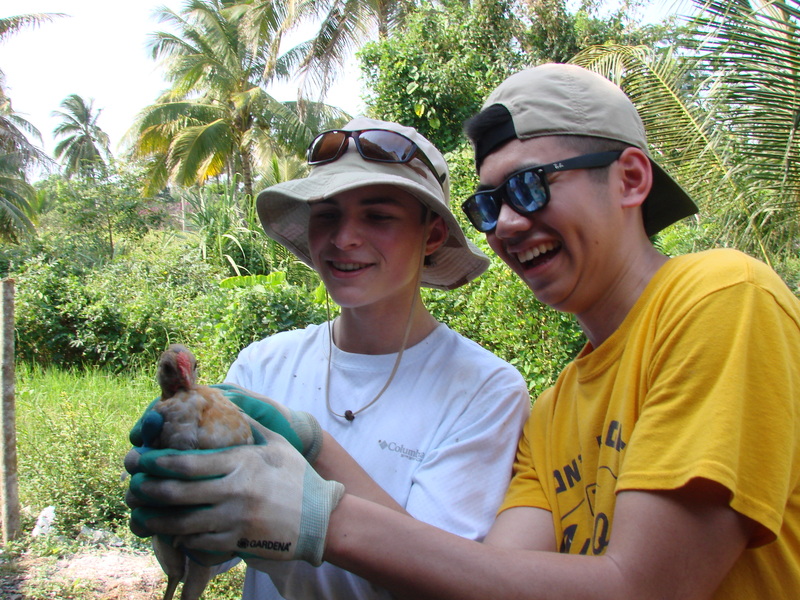 The rest of the day was dinner with the group’s all-time favorite chef, Baneza, and a quick run-down of expectations and daily challenges for the following 10 days. Then finally, it was off to bed. 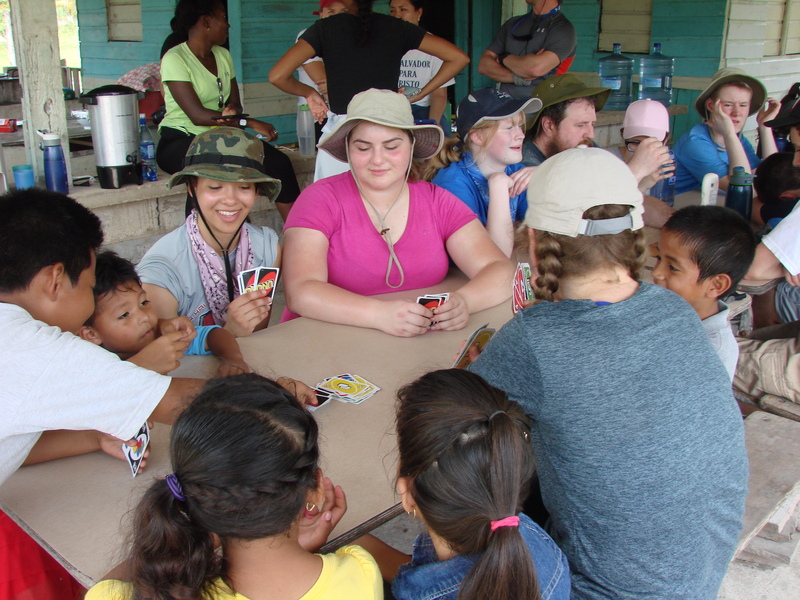 Day two started at 6:30 am when we all rose to the sticky heat of Belize with roosters (and Kelsey) singing us awake. We donned our work clothes and gloves, ate a breakfast of fruits, filled our water bottles to the rim, and took our morning stroll to the court. Upon arrival, the court was nothing more than mounds of dirt and pieces of rebar littered about, and it basically stayed like that till after lunch, for like the rest of Valley of Peace, we took a siesta from noon to around two to avoid the heat. 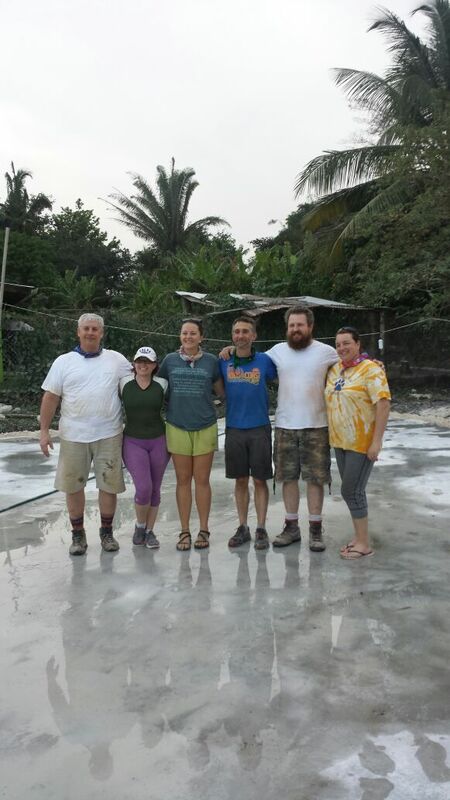 Once we returned later in the day, we began to really get to work with the local helpers by bending and tying the rebar for reinforcement, as well as leveling out trenches in the court. Near the end of our work day a group of little girls approached me and asked for my assistance in moving a slab of wood that they could use as a makeshift slide for a beaten down playset that was next to the court. I happily helped them move it and held their hands as they ran up and down, all the while feeling very excited and proud to be helping in making an actual court for these girls to enjoy. The routine of early rising and mid-day siestas became the regular for our week, but day three still held a special surprise as we marched through the early afternoon heat to a small hut where cacao was grown and made into delicious, all-natural chocolate. I found myself immersed in what surrounded me: the heat, the clucks of chickens, a language I barely understood being spoken, and the wonderful hammock I laid in for a few calming minutes. Though, I didn’t relax for long – a hunt for a baby chick was taking place and I simply couldn’t avoid watching. Day four: wake, eat, walk to the court and work. 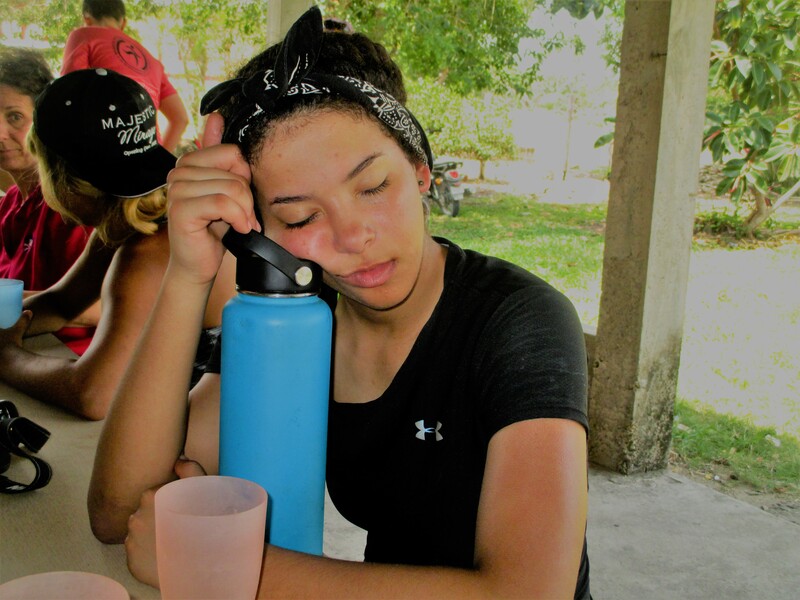 I think it is easily agreed upon in our group of volunteers that our fourth and fifth days were the hardest days of work, and yet were also two of the best days we had. We were digging, leveling, and refilling patches of dirt for what felt like a week’s worth of time in only a few hours while temperatures of 121° F hammered down on our bodies. 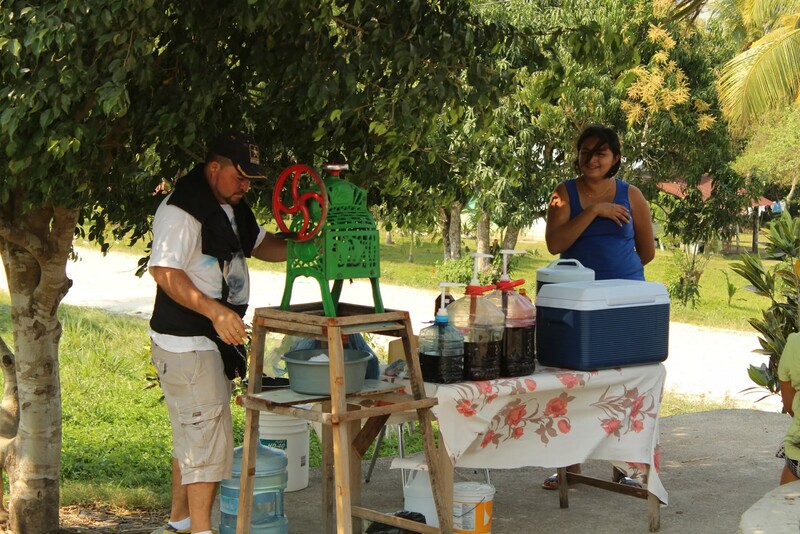 Though, luckily, we didn’t only have to rely on water to keep us sane, for our hero of the trip, Giovanni, was there every day with snow cones and a smile to keep us going. Then it happened! Day five arrived as a regular routine until we just kept pushing and fighting on, laughing and smiling along the way, and then boom! The court was finished! After carrying bag after bag of 100 lbs of cement, leveling and leveling some more, we poured the final batch of cement, our fellow workers flattened it out, and it was done! I remember cheering with my group and laughing with the workers, then gathering once more for a picture with a group of kids I had grown closer to in a matter of days than two years of high school had brought me at all. 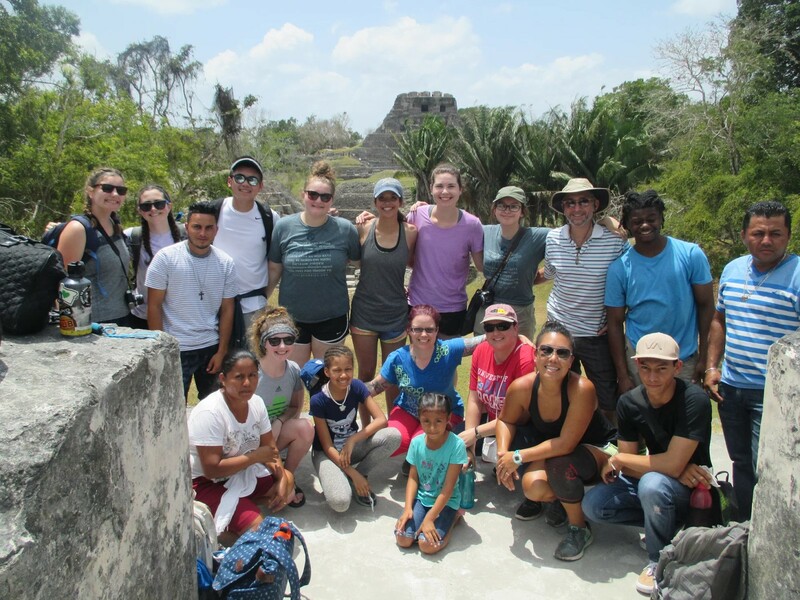 With the court itself finished, all that was left to do was dig a few holes and paint the goals, leaving the rest of our time in Belize for integration into the community we had spent most of our time with, and exploration of the great unknown. Our first step closer was attending a football match between two children’s teams, where we played games and watched the local kids compete in the heat we still weren’t quite adjusted to. 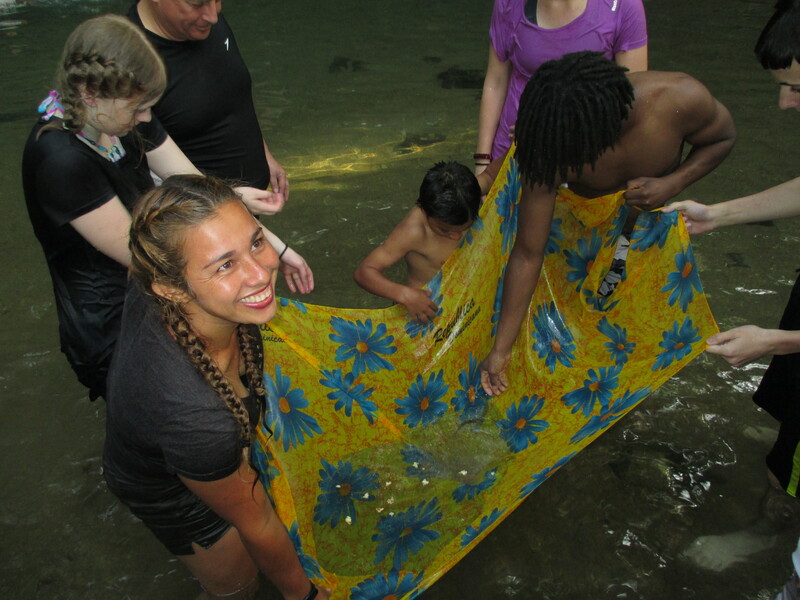 The following day had us dressed down to swimming suits and sunscreen as we climbed into the back of a pick-up and rode our way down to a hidden little corner of a river for us to swim in. The green canopy of the trees on the bank mesmerized me as we swam and laughed, watching for toucans and singing Queen’s Bohemian Rhapsody when we were told it was time to go. Day eight was yet another adventure with swimming suits and sights we had never dreamed of seeing. 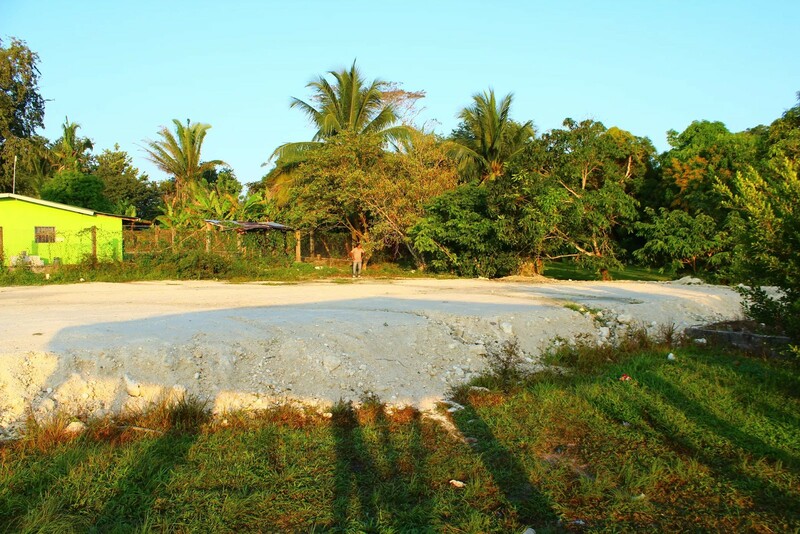 We took our long ride to a river bank that crossed to an uphill climb where Mayan ruins awaited, and I was in awe. Visiting the ruins was like a gift I could never ask for. In all honesty, I didn’t even expect to swim while in Belize. My fellow group members and I were all entirely dedicated to working on this court. 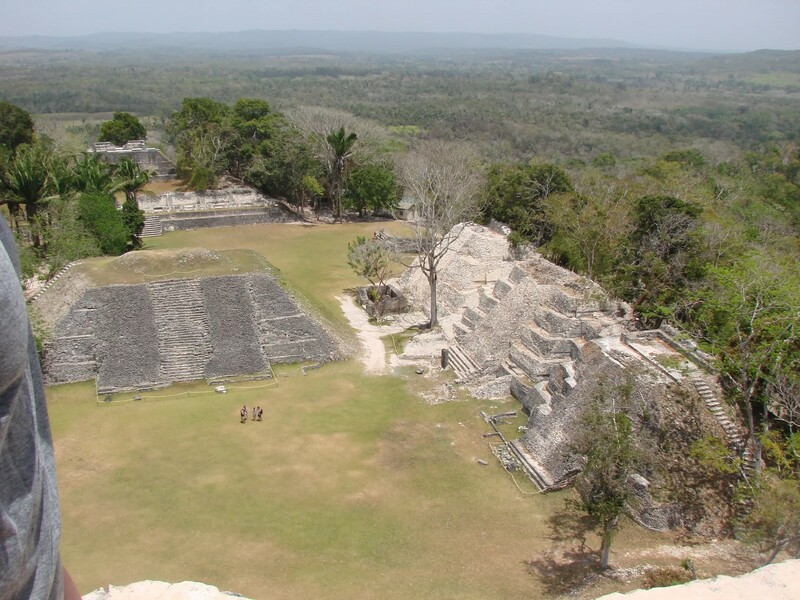 Being gifted with sight seeing great Mayan ruins was so much more than we could have ever asked for. 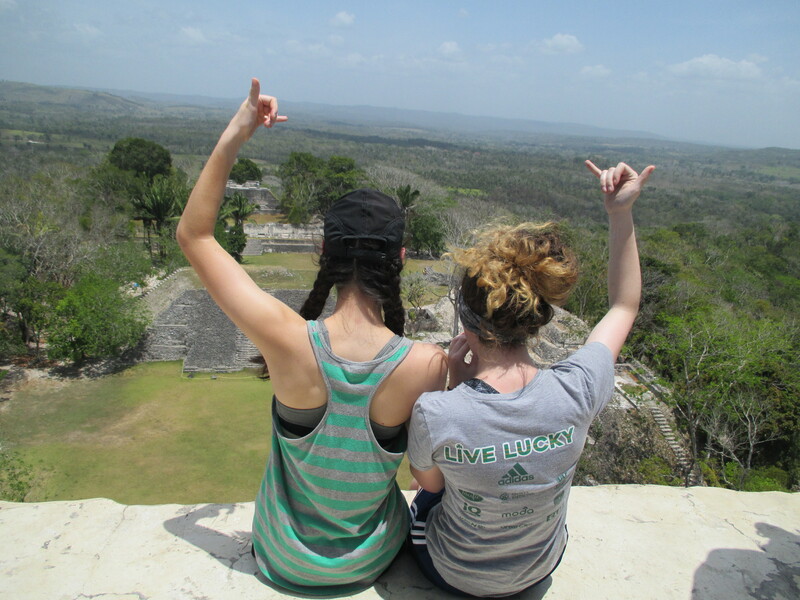 In honor of the trip, we wasted no time climbing these ancient structures and breathing in the view of Belize, and even a bit of Guatemala off to our left. 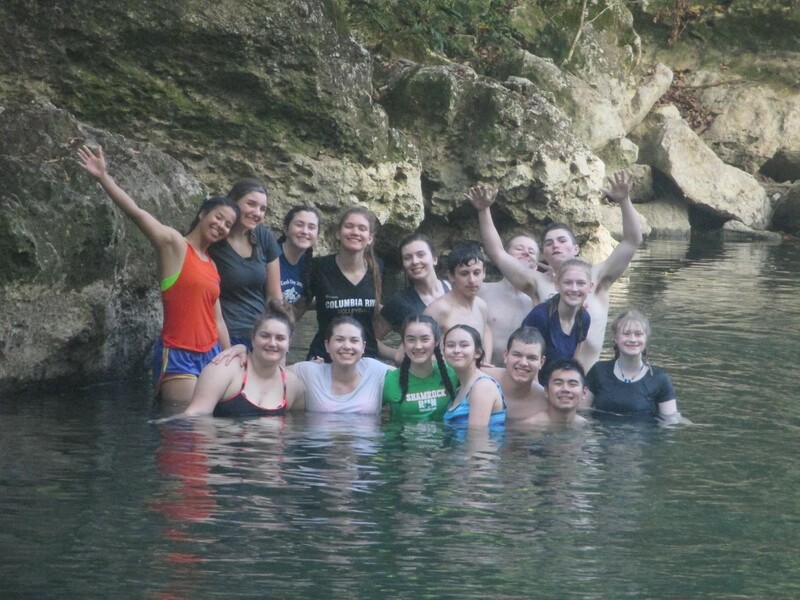 Then it was once again back to swimming (after lunch and another bus ride, of course), though this time it was in a quaint land-mark of Belize, the Inland Blue Hole. The inland blue hole is actually a sinkhole that has freshwater fish and small caves surrounding it to which guests can swim, and we did just that. As the evening drew closer we went back to the church and changed into our best, ready to officially open the court to the public of Valley of Peace. 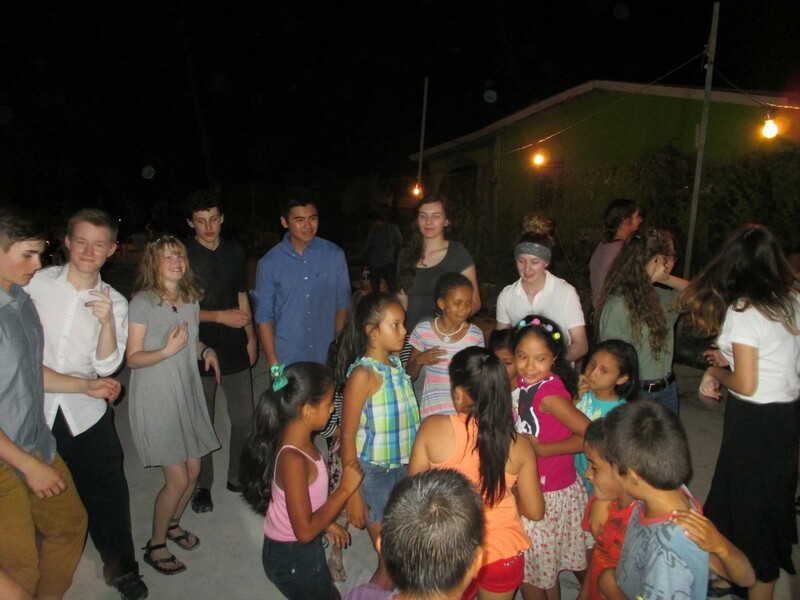 Words were shared, a few tears shed, and we danced the night away with the locals by our sides. 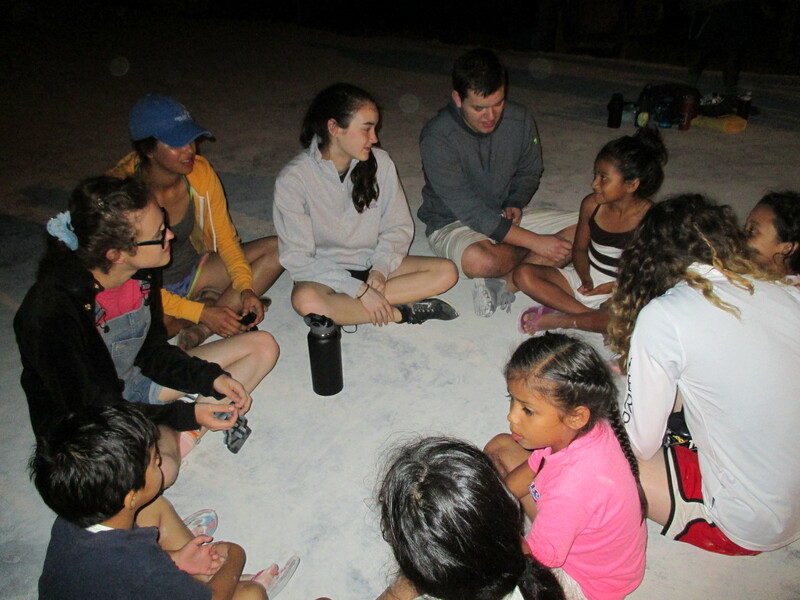 The trip was now coming to a close as we awoke on our ninth day, smiles sewn to our cheeks as we walked back for another football game, valuing the time with the kids deeply as they showed us games and we showed them ours. We shared a final reflection that night, all sat under the stars on the cool cement of the court. I don’t recall exact statements, but I do recall the overwhelming feeling of pride and joy as I looked around our circle. All these kids put themselves out here as volunteers to make the world a better place, they stepped out of their comfort zone and struggled through language barriers and rigorous work just to be sat around and thanking each other for the opportunity at all. Meeting the locals, becoming closer with my peers, it all reminded me of how good the world can really be and how one little action can carry us so far. 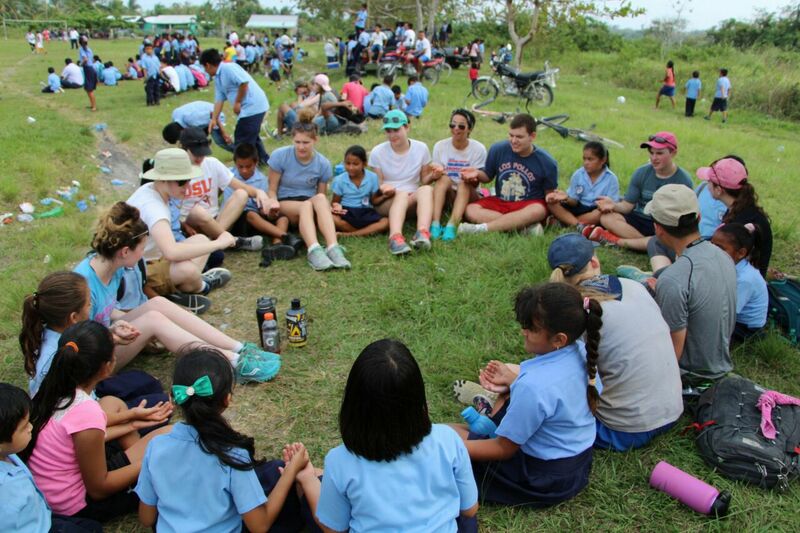 So, to the people of Valley of Peace, to Baneza, Giovanni, Kelsey, Sarah, and everyone else on this trip. Thank you for everything, for the constant smiles and reassurance, the laughs and tear-jerking reflections. Thank you for not only making a huge difference in my life, but to the rest of the world. One final un fuerte aplauso! Uno, dos tres! !